The extrahepatic biliary tract includes the right, left, and common hepatic ducts; cystic duct; common bile duct; hepatocystic triangle; and the gallbladder. Anomalous hepatic ducts can be a surgically significant source of bile leakage. 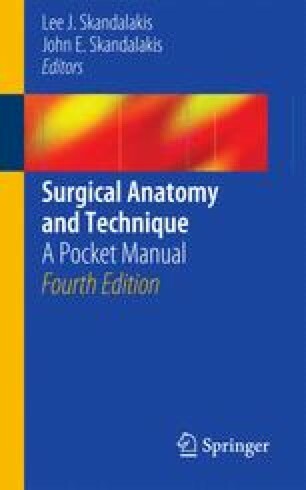 Detailed step-by-step technique is presented for operative cholangiogram, common bile duct exploration, cholecystectomy, sphincteroplasty, choledochoduodenostomy, choledochocystectomy, and laparoscopic cholecystectomy.